DesignEvo is an easy-to-use online logo maker that allows you to quickly and easily create logos and graphics without having to be an expert in Photoshop. - A logo is fully customizable with powerful editing tools. Click on 'Make a logo for free' button on the homepage of DesignEvo and you can immediately start your logo design. Then you will see a white working canvas with the possibility to add icons, text and shapes on the left of the screen. If you select an item, it is immediately transferred to the canvas. Then you can start playing there with placement, color and size. 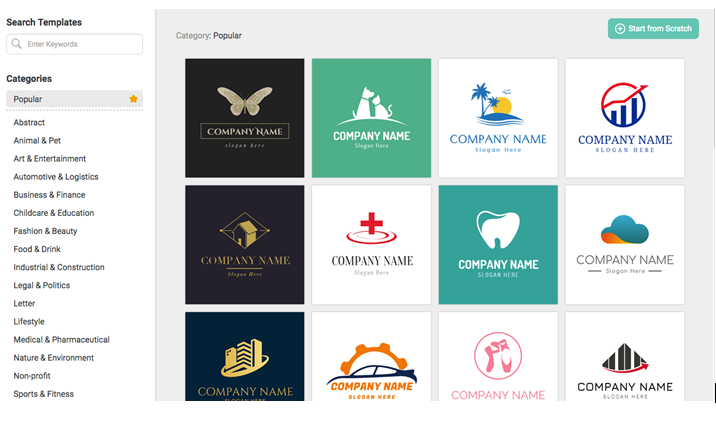 With DesignEvo you can not only design logos, but easily create simple banners or buttons. Once your design is ready, you can download it to your computer. You will get a zip file that consists of a PNG and JPG files for free. To get higher resolution files, transparent background, or other SVG and PDF files, you need to purchase a package with a small amount of money. The use of DesignEVo is easy and the downloads are unlimited, without watermarks. Of course there are already a lot of graphical web tools in circulation. However, DesignEvo mainly focuses on logo creation and small banners. In general, the possibilities are somewhat limited but concentrated. It works simple and intuitive. You can use its 3000+ templates and make your own changes or do it all by yourself with a blank page. You can create an account if you want, but without an account, you can also use DesignEvo with no problems. 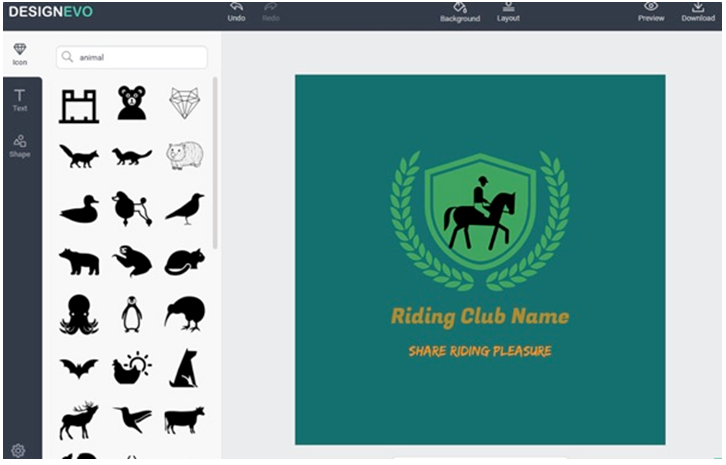 DesignEvo is a simple online tool to design logos and other simple graphics quickly and without knowledge. It covers all kinds of logo categories such as tech, sports, education, fashion, club, and shop.